Why Stellar? Well, his looks and his performance are stellar . . . I mean, seriously, they are !! And he has a way of wearing his clothes that makes him look like a model [ which he sometimes is ]. His achievement as a performer is stellar . . . just look at all the awards and the number of people at every airport he arrives in, not to mention the tickets sold at his every concert and fan meet . . . the numbers of his album sold . . . ! With Hyun Joong's talent, personality, looks, fame, fortune, connections and all other things besides, it is expected he'd be rubbing elbows with his own "kind" and attend lots of luxurious parties and high class activities. Well, he does that . . . we see him attending store openings, high class product launching and the like. 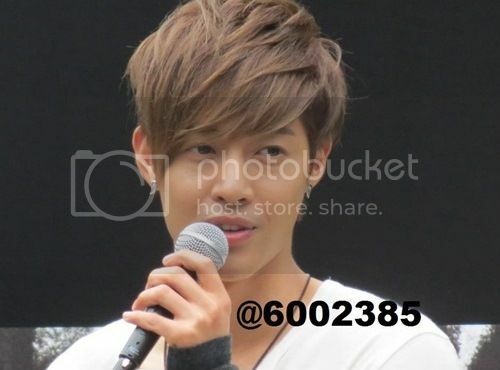 But we always get the pictures, messages and information through KeyEast or through news media outlets. We see him in those pictures looking handsome and well groomed, with sponsored clothing and accessories. But we haven't seen him sharing photos or interesting things that happened to him in those events . . . to us fans. Hyun Joong [personally] doesn't tweet . . . he doesn't have a me2day, he hasn't been known to have kakao talk or join other social network medias where he can connect with his fans, so we haven't seen him tweeting a photo or a selca to personally show us something. 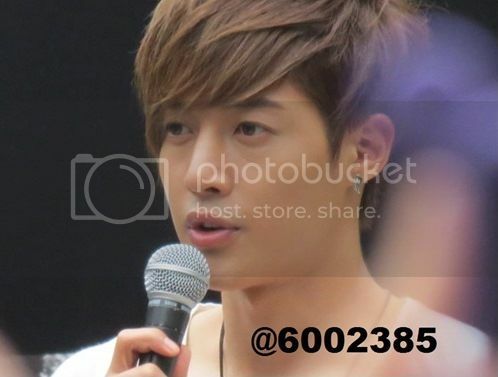 Instead, Hyun Joong communicates with his fans by writing messages in his official site . . . and fans really cherish those messages from him !! To write to us fans about what the candy ajumma said and how the candy ajussi was indifferent to their game . . . for me is very down to earth of Hyun Joong. I don't remember him sharing any stories of activities he did while he was in the US or when he was in Europe for a photo shoot. I don't remember him telling us that he has met so and so celebrity or world famous people . . . or sharing pictures with us, which is normal behavior we fans expect from a famous star. Another experience he shared with his fans is the "funny" incident he went through when he leapt . . . expecting to land in the middle of a soft bed . . . but crashed to the floor between twin beds instead. That was very down to earth . . . why, it could happen to any of us ! It's so natural and down to earth to forget something and make ouchie mistakes. So these down to earth things he does and experience are the ones he shares with us . . . pulling our gaze down from gazing at our star that's so high, so far away from us, that it feels as if we must float up to meet him . . . taking our hands and pulling us down to land softly back on earth. Photo credit : 미야야 @6002385 at twitter. Hi again myoce, You love writing about Hyun Joong, I love reading about him especially your kind of writing. I cannot write the way you do. Yes, he is down to earth inspite of his star status. That is what makes him endearing and unforgettable. And that is why his fans love him. Beyond the physical features and the talent that is in progress, he has the charm that is elusive to most. That is why I am still here since 2009. Used to be my interest in a star lasts only until the drama ends. Thanks for your "writeups". this young man. Support him forever for giving us such pleasant joy and happiness. thanks for your fine writing and keep up your good work. Yup, me still here too, tho I haven't been able to blog a lot about him, posts about KHJ still monopolize this blog till now. I hope in the course of his career, Hyun Joong will keep this charming side of him always. Have a great weekend, Gracie ! Thank you so much. I do hope I can support KHJ for a long time. Have a happy weekend, Anon ! I totally agree to what you and two people said above. 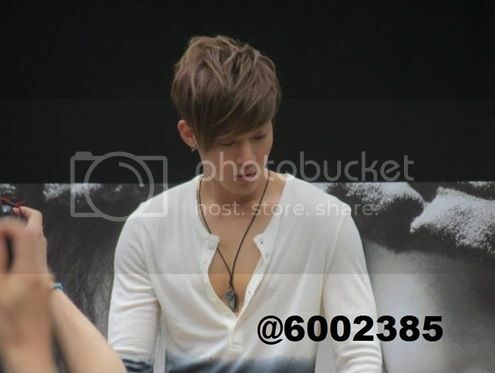 KHJ has something irresitable in him in and out. I just thank god for his being in this world. 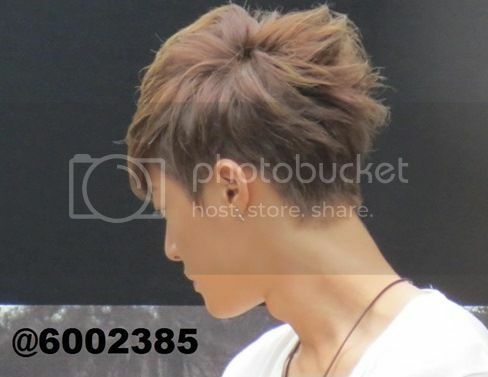 He's just amazing and a happy virus to all people. Thank you so much for keeping this wonderful blog for a long time. PSH - Positive Developments !! . . .Yeay !!. ..